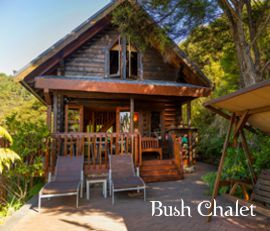 Kuaotunu Chalets are nestled in pristine bush with seaview and waterfall, close to white sandy beaches and boat ramp for safe swimming and great fishing. 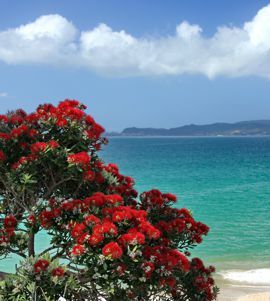 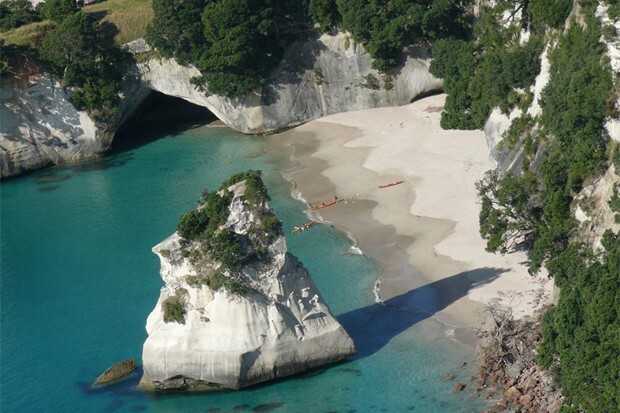 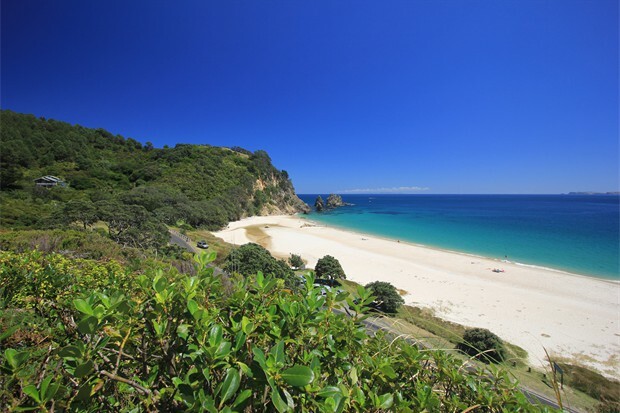 Whitianga and Coromandel are a short scenic drive away offering shops, cafes and restaurants. 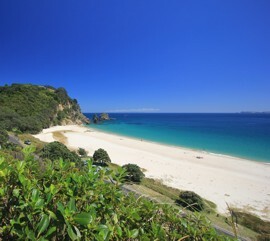 The perfect place to explore the Coromandel and further beyond. 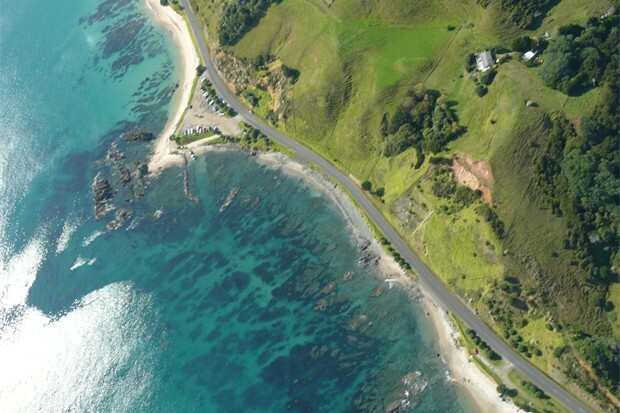 Just a short distance to the Kuaotunu boat ramp for some great fishing. 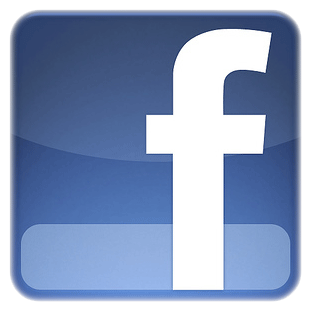 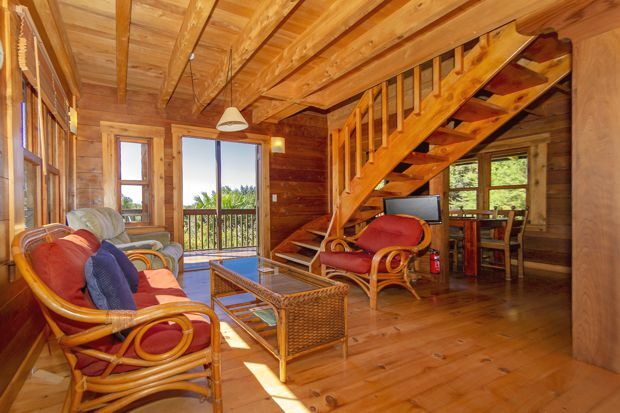 Only 20 minutes to Whitianga or Coromandel town. 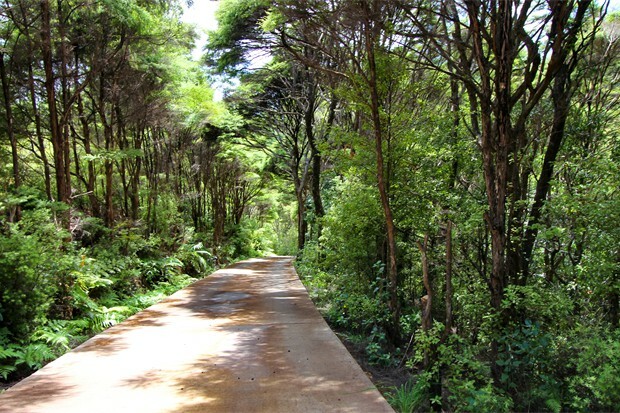 Enjoy the tranquillity, the sound of the tui, the bush and the sea. 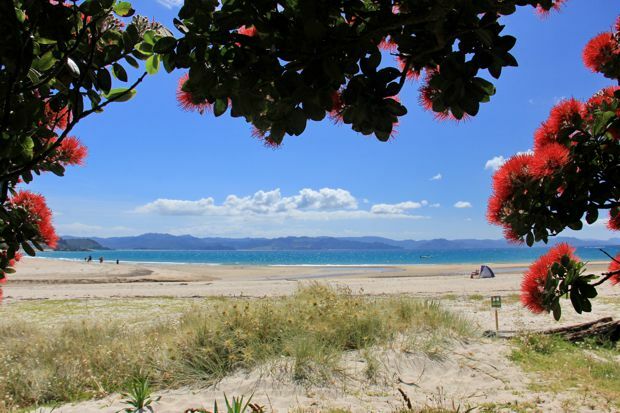 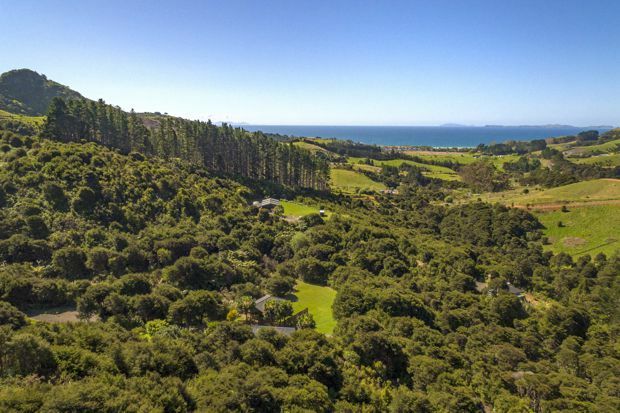 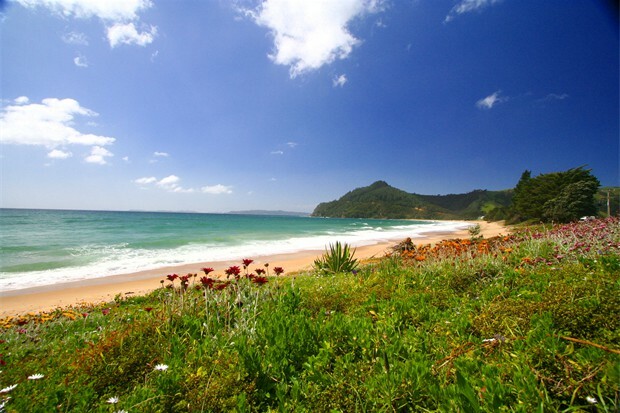 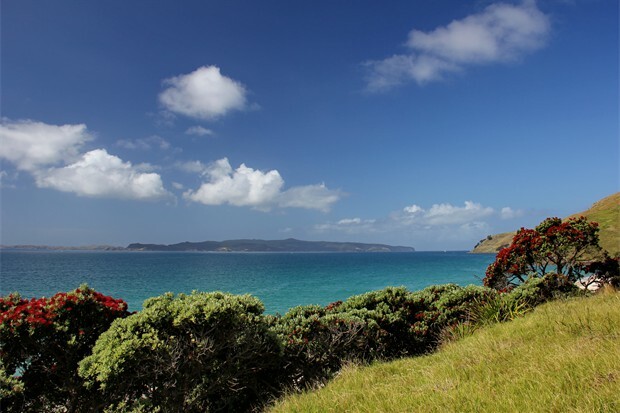 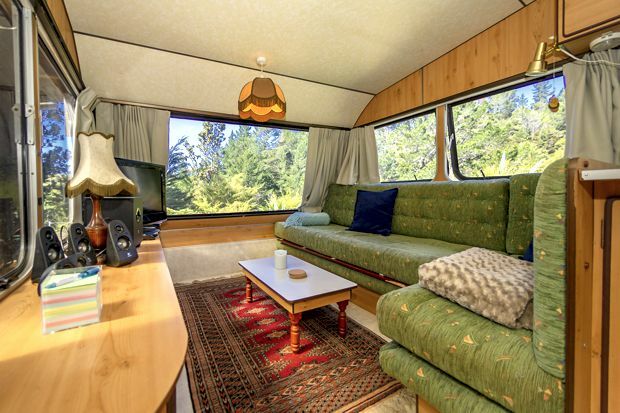 Ideally located to explore the Mercury Bay and the North of the Coromandel Peninsula. 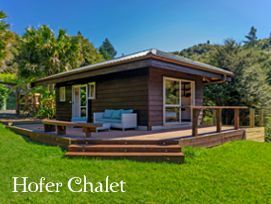 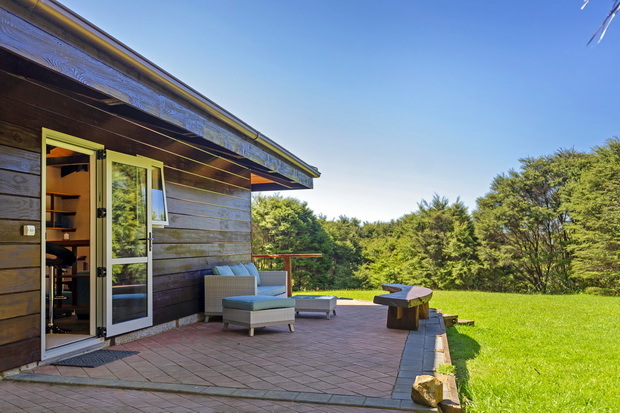 Our chalets are built from NZ Redwood and Marcrocarpa timber in Swiss Log House style. 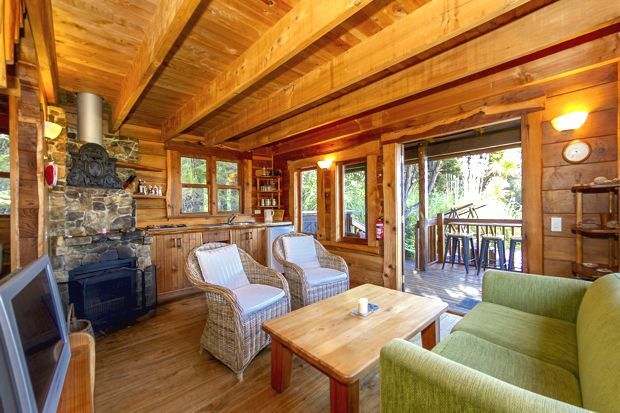 Peaceful, private setting in native bush, outdoor furniture, sea views, fish cleaning station, waterfall, close to beach and boat ramp, safe swimming, great fishing. 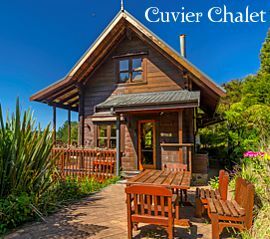 FULL CONTINENTAL BREAKFAST OPTIONAL - PROVIDED IN THE CHALETS. 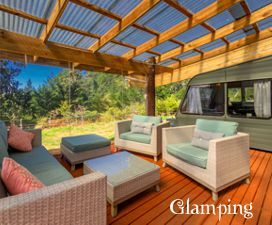 A new addition to our property: this fun, relaxing and secluded caravan glamping site allows you to enjoy the tranquil surroundings whilst having all the amenities you need so you don’t feel like you are “roughing it”.